For everything writing on a professional blog, business blog, or a personal blog – here we have one of the best WordPress blog themes collection at your disposal. Select from a huge diversity of layouts and styles to show-case links, photos, written content of yours or whatsoever you select to post. Choose any of the themes which suit your WordPress blog perfectly. WordPress blog themes are particularly the best easy to use responsive templates for the WordPress where one can perform anything he/she wants. These blogging themes can be the most authoritative tool that can make your brands increase at a rapid rate with excess features which are easy to use. These blogging themes are compatible with the plug-ins, which let one to build his website more useful and easy to use. With easy installation WordPress blog themes permits people to create their own custom skin only by choosing their preferred colours from the administration panel with the help of colour pickers. An individual can simply amend between sliders, theme styles, page lay-outs and set the content of theme. This a collection of best WordPress blog themes for blogging. WordPress is open source and is perfect blogging platform. It is even free to use. These blogging themes provide a great attractive and professional look to the bloggers bringing their blogs the creativity that would attract millions of visitors. And the search engines will also rank them well. Select your favourite themes for your blog and get started to attract crowd towards your blog. Flux is a brilliant versatile WordPress theme that was created from the ground up for simplicity and versatility. Whether you’re building a portfolios, blogs, photographers, and design-orientated business or corporate website. This theme has big, beautiful images and modern charts and text design to showcase your work. Flux is built on Gantry 5 is a next-generation theming framework that is packed with features to make it easier than ever to build your website. Flux is packed with features you’ll love. Lotus is a modern WordPress blog and portfolio theme, responsive design allows it be displayed with amazing looking on all devices. This theme includes Custom multi level menu system, Responsive videos, Integrated social media menu. In the front page you have the ability to feature content, display your blog, portfolio or a static page. Lotus is packed with features while maintaining a balanced design with carefully crafted layout for each section. Coup is a responsive blog and portfolio WordPress theme, it sets the slider to full-screen, and your featured image will fill the entire screen, with a centered headline and short text. With Coup, you can display your post archive in a classical 3-column grid, or the eclectic shuffle grid. Coup recognises automatically the images you upload to posts, and helps you to bring your business closer to your niche audience. DailyJournal is a fully responsive personal WordPress blog theme for anyone who is starting their own blog. It is packed full of some amazing features. DailyJournal uses CSS media queries to trigger different layout sets at various screen sizes, with responsive design, your website will display beautifully and intuitively on all devices. Luminis is a responsive Photography WordPress Theme with a minimal, clean and professional look. Luminis is perfect for photographers ( wedding, travel, landscape, portrait, fashion, lifestyle etc. ), photo studio, photography agency, designers, artists, bloggers to showcase their portfolio. Luminis has responsive layout, so your site can be looked great on all devices for a pleasant user experience. And also, Luminis provides features to easily personalize your site and show off your best creative work, from portfolio templates, blog layouts, colors, fonts and more. Luminis is compatible with the latest WordPress version. Journalistic WordPress theme is a medium inspired theme for long-form stories and articles. Journalistic is a storytelling tool designed for long-form writing and is designed with craft beautiful, immersive experiences for your readers using deep integration with Aesop Story Engine, a ground-breaking plugin included. Journalistic provides personalize colors and styles your organization, business website or personal blog. It is responsive layout for a flawless display on any device from a desktop computer to a mobile phone. Support for Retina Crisp, clear images on Hi-DPI screens. Parenting theme is a magazine and blog WordPress theme that can be used for Parenting blogs, Parent magazines, mommy bloggers and General Parenting Websites. Parenting theme is a Mobile responsive WordPress theme that will fit perfectly in Phones, Tablets and other Smart devices. The theme allows you to express yourself with the custom color scheme editor, so that you can make your presence felt to your audience. It integrates OpenGraph & Twitter Cards Integrated. The Open Graph protocol enables any web page to become a rich object in a social graph. Twitter cards make it possible for you to attach media experiences to Tweets that link to your content. Epicurean is a Food Blog Theme that helps you to build your social media and share your love of food with the world. Epicurean has food-friendly features and focus on visual imagery, whether you’re blogging about your own recipes or reviewing delicious food around town, Epicurean sets you up for success. SOHO is a modern and clean theme that is especially designed for creative companies and business websites. SOHO is responsive on all devices. Soho supports you to embed a YouTube video or have an image slideshow in the background of the front page. Another important feature of this theme is using the featured images to display as background images for each page or post. SOHO offers 4 possible layouts in the front page, you can have an empty front page, display your blog, your portfolio or a static page. Soledad is a Multi-Concept Blog / Magazine WordPress Theme, Featured bigger, faster and easier. Soledad is 100% responsive on all devices. Soledad is powered by Visual Composer Page Builder or WordPress Customize to create your page easily with drag and drop interface. And also it is fully compatible with WooCommerce for your online store. It is with 300+ options for unlimited possibilities, has the choice to of 20+ templates, 900+ demo Homepages. It is compatible with Revolution slider. Soledad offers Powerful and free Penci recipe plugin, Video background, amazing gallery, Mage Menu styles. Soledad is the Bestselling blog and magazine WordPress theme of this year, you must love this amazing theme! Pheromone is a modern and creative multi-concept WordPress theme, it is great for developers, designers, bloggers and creative people. Pheromone was designed minimalistic, focused on good readability, and easy to use and fast loading. It offers options and customizations to show your contents with your way you want. Additional, Pheromone is fully responsive design, multi & one page theme for building simple and beautiful business or personal website. Underwood is a modern and clean personal blogging theme for journalist, food blogger, photographer, or are just in the market for a darn good blog theme with lots of bells and whistles. Underwood provides three homepage layouts (including standard and grid-style layouts) and nine post formats, and with high-impact visuals in the FrontPage banners and audio/video options throughout. The theme includes a range of customizer theme options, and if you like incorporating multimedia into your blog, you can choose from various gallery post designs, audio and video posts, and more. Paisley is a beautiful feminine blog WordPress theme with a classic chic style. Blog posts can be displayed in two columns in a grid layout, so your visitors can easily see you r content. Paisley is responsive to work great for every screen. Paisley comes with a full-width background image for the header, which works well with a styled stock photo as the hero image. Paisley offers customize colors, and banner ad ready for you to place ads for your site. Additional, Paisley is translation-ready, so you can easily translate your theme into your language using the .po/.mo files included in the package. Designbiz is responsive versatile business WordPress theme to display your company, portfolio, blog, and testimonials. Designbiz comes with everything you need to launch a full-featured business blog; share comments, accolades and feedback from your clients; create multiple portfolio pages, if you’d like to organise your projects into different collections. Sky is a unique personal WordPress theme loading all of your content seamlessly using ajax. This means that no matter how many pages you have in the “slider,” your initial page load speed will be lightning fast. Sky comes with four unique colors schemes, which ensure the style to suit your needs. Sky includes .mo and .po files that can be used to translate the theme. Sky is easily create galleries, contact pages, sitemaps, blog feeds and much more using the Elegant Themes Page Templates. EntertainmentNews theme is a WordPress magazine theme, it is created especially for Entertainment news websites and portals to present your content in a professional way. The theme can be used for Celebrity News websites, Movie gossip, music news and general Entertainment magazine portal. The Victoria WordPress theme is especially designed for all of the women bosses, lady entrepreneurs, and bloggers alike who want to showcase their business online in a modern, elegant and professional way. Victoria is fully responsive to make your contents look stunning on any device. It is compatible with WooCommerce to help you create online shop to sell physical or digital products. Victoria includes multiple layout options, customize colors, a sticky menu, social media icons, newsletter signup form, also you can show logos of businesses and brands you have previously worked with or sites you have been featured on. Nightly Mobile is the most advanced multi purpose mobile WordPress theme based on jQuery Mobile. With wide range of supported devices makes it great choice to use your desktop theme. Works on every mobile device and tablet. It is perfect for all types of websites, from agency, blog, freelance, personal, portfolio to professional presentation, gallery and e-commerce shop. Works greatly on every mobile device and tablet. Nightly Mobile is packed a lot of features with attention to details, offering extensive option panel which boosts your customization abilities. It offers left and right widget ready sidebar which supports swipe gestures, swipe left or right to open sidebar, custom page templates, Homepage touch slider, PhoneGap/Cordova full support, three types of navigation and much more. Nightly 1.4.1 supports the latest WordPress 4.7.1 and also WooCommerce 2.6.12. Huntt is a beautiful minimalistic blog magazine WordPress theme, it is great ideal for web magazines with content related to photography, graphic design, fashion, art, architecture, interior design and other creative fields with inspiration. Huntt is created to put visual oriented content in the first place, without any clutter and noise. Features responsive by design, beautiful single page layouts portrait or landscape, fully scalable for screen or resolution, easy color switching, custom widgets, customize label, and the theme in any language using. MediaPhase is a versatile multi-purpose WordPress theme which is perfect for business, online shops, bloggers and digital agencies. It comes with responsive design, looking great on desktops, mobiles and tablets. A full-featured homepage template is available boxed or full width, you can set up your homepage just how you like it with Customizer. You also have multiple blog templates, font awesome icons, about us text, meet the team widgets with social media profile links, latest news, client logos and footer widget areas. The header has space for contact details, email and phone number, a social media menu so you can link to your profiles and integrated search area. Lots of neat typography and post styling along with things like built-in pagination, breadcrumbs, default thumbnail images. Compatible with WPML, bbPress, Woocommerce, Contactform 7, Jetpack, Gravity Forms and more popular plugins. Ad-Sense is the best responsive WordPress Blog Theme especially designed for those who want to earn more money from ads on their website. This theme helps showing ads to users who don’t want to see the ads. Ad-Sense comes with powerful and premium ad management options to let you control specific placements and settings to ads around your site. amazing options panel, stunning CSS Effects, In-Built AD Blocked detector, WP Mega menu compatible, WooCommerce Ready. Ad-Sense gives you maximum flexibility in terms of where you want to place your ads. ArtSee is a portfolio and blog WordPress theme with artsy design that was made for those looking for a simple and elegant theme. This template is created with accentuate visual imagery rather than overpower it. This theme comes with custom options pages that makes it editable via wp-admin. It is compatible with the most popular internet browsers, and was localized for easy translation. Malmö is a charming Multi-concept WordPress Theme, which provides a large collection of elements and shortcodes, it allows you to create any layout combination you can imagine. This combination will attract readers, and draw their eyes to the key pieces of information on your site pages. The Visual Composer drag-and-drop page builder is packed with Malmo. Display your essential content in style and create the website you’ve always wanted. Customization is intuitive and easy. You only do simply import the demo content with a single click and easily modify it to your taste, no coding knowledge required. Cion is a personal WordPress Theme with more classical blog-style design, it is great for anyone who wants to keep things simple while still maintaining a class appeal. Cion comes with three unique colors schemes to help ensure that there is a style that suits your needs. It also included .mo and .po files that can be used to translate the theme. It comes with ePanel that allows you to toggle on and off features, adjust your layout, manage advertisements, control colors, optimize for search engines to easily control your website without ever touching a line of code. The theme is compatible with the most popular internet browsers. Topwomen is an elegant and charming blog WordPress theme that is suitable for all different purposes from beauty shops to women’s forums and female health blogs. It can help you to open a make-up studio or a cosmetics online store. It was built with SMT Framework, responsive design, compatible with WooCommerce and SEO Optimization. Engrave is a blog and portfolio design theme. The dark styled design that is complimented with the colored buttons can bring you visually stunning to really set this theme outstanding from the rest. Engrave features responsive layout and Retina ready that allow your images always looking sharp and great on all devices. Choosing any color scheme you want, unlimited sidebars, amazing widgets, boxed Layout, great theme options pane, and more. Radiance is a stunning premium multipurpose WordPress theme, it perfect for any kind of business website, blog or magazine. It’s fully responsive, so it looks clean and professional on a tablet, phone, laptop or any other device. It comes with featured Post and Pages Sliders, Widgets, Archives Image Gallery, and a wide variety of layout options, custom settings page for easy customization. With bright, clean and feature-rich, Radiance allows you to build multiple websites on many projects you need. Monolith is a mobile WordPress theme for bloggers and professionals! It is suitable for anyone to present their content, products and/or services. Monolith can be used for many purposes; whether you’re a straight-up blogger, and/or advertise your services, Monolith can be used as a secondary, mobile-only theme on your existing WordPress installation or set up as the main theme on a brand new installation. Principles is a minimalist responsive blog theme that was built for the aspiring writer in you, your long form articles are packaged in an easy to read layout which is customizable and mobile friendly. You can change the design without touching the code, styling your site to fit your brand. The theme do all the heavy lifting for you, from automatically resizing images to hosting your videos. Peak is an excellent multi-purpose theme for blogs, portfolios, magazines, and eCommerce sites. The theme design, 100% responsive across all modern devices and resolutions. It is boasting a masonry tiles layout that can adapt to any screen size or device thrown at it. The tiles layout offers both auto tiles and custom tiles, all are responsive across all devices. Peak theme comes with matching styles for WooCommerce for selling merchandise if you wish. Feminine is a mommy blogging theme for WordPress that was designed around the needs of a female bloggers, beauty & makeup blogs, fashion bloggers and general women focused blogging sites. Feminine theme is mobile responsive to fit perfectly in Phones, Tablets and other Smart devices. It is very easy to setup menus from the Admin area, and compatible with Modern Browsers, OpenGraph & Twitter Cards Integrated. This theme supports translation and localization in any language as well, it looks pretty, creative, and professional. Hipster – a perfect personal WordPress blogging theme for creatives who want build their personal brand through blogging and networking. With Hipster, you can create a stylish cover page to promote yourself and posts such as videos, galleries, quotes and more. The theme is designed with fully responsive and retina layout, so it looks great on iPad and iPhone! Stack is a responsive blogging theme, perfect for blog or show off your digital photo album. It was designed with clean and edgy in mind to make your content “pop”. Stack features 6 background variations, 6 color variations, Widget Ready, Analytics & Custom RSS Integration and more. Wellness Pro is a Blog WordPress theme designed for people who want to share a healthy lifestyle, attention to health and well-being. It features Mobile Responsive, meaning your website will be perfectly optimized for every browser, device, and screen size; Theme Customizer allows you to tweak settings, background images, colors, and content and see a preview of those changes in real time. It includes more functionality: HTML5 Markup, custom Page templates, customizable header landing page, build up your site with 12 different widget areas. Wellness Pro is here to offer a holistic theme solution for your Genesis-powered site. Bateaux is a creative multi-purpose WordPress theme with clean design that is perfect for any business and purpose: blog, magazine, news, portfolio, agency, freelance, photography, business, corporate, industry, e-commerce and more. It comes with powerful unique page builder, 40+ elements and unlimited layouts. It is user friendly, app-like interface, responsive and pixel-perfectly designed for any industry to make awesome websites. Melos Pro is a truly unique WordPress Theme with a modern design following the latest design trends, it is craft for blog and portfolio. Melos Pro has beautiful boxed layout, fully responsive allows it looks great on any device, also it is retina optimized to look incredible on high definition displays. You can build a complete site without ever touching code with a powerful theme options panel. With unlimited sidebars, unlimited colors, amazing widgets and much features, show off your contents in style. Selfie is a Multi/One Page business WordPress Theme packaged including 50+ ready to go demos to help you quickly getting your business website solution. Selfie is perfect for all kinds of businesses from corporations, shop owners and small businesses to startups, artists and bloggers. It’s fully responsive, retina-ready, SEO-optimised, and with professional architecture and powerful memory management. Selfie is equipped with Layer-Slider, Visual Composer, Slider Revolution and the WooCommerce plugin. Selfie includes translation WPML and CSS3 Animations to make your users experience incredible. Selfie gives you the power to create a unique-looking website with an easy-to-use drag and drop page builder. 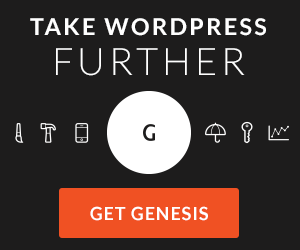 It is with the most Speedy and lightest WP theme ever. Minimal has been designed as a responsive mobile friendly theme works on all screensizes, any visitor to your website will be having the best experience no matter what device it is they’re using. With Minimal theme, you can add your own logo to your theme quickly and easily, Showcase, categorise and share your best work and also impress potential clients. The theme does all the heavy lifting for you, from automatically resizing images to hosting your videos. StartingUp is a responsive theme for WordPress to service your blog, portfolio and online shop. It is packed great features with ZOOM Framework, including built-in Portfolio to show off your work, photos or anything else. And also, WooCommerce integration allows you to sell your products and services. Easy Customization means you can easily customize every detail of your theme to best suit your needs with advanced options Panel. StartingUp theme can be easily translated into any language, and it is SEO Friendly. Botanic is a Tumblr style like theme for WordPress, it was designed by world renowned designer Owltastic. Botanic features a truly unique layout with Retina display. This theme supports translation and localization in any language, Advanced SEO optimization, and more functionalities such as the various post formats, Content widgets, social networking, Twitter, Flickr, special settings for your various posts, pages and more. Botanic Give your website some celeb vibe! Luxury is a classy theme created for luxury blogs and brands, high-end products and services, the fashion and wedding industries, travel blogs, and any site where showcase the finer things in life. Luxury features a sophisticated and attention to detail design to focus on typography and content layout. It comes with fully responsive grid, retina optimization, Photoshop design file, wide variety of page templates, post formats, shortcodes, WooCommerce, Gravity Forms, Jetpack and multilingual compatibility, and much more. Give your WordPress theme class with Luxury. SEOTips is a responsive Pro Blogging WordPress themes with great features. This theme is written in HTML5 & CSS3 coding language, Responsive web design and Retina displays. It comes with Global Color Scheme option and Real time Visual Theme Customize that is for users to customize a theme and see the results real-time without opening or refreshing a new browser window. SEOTips works lightning fast with and with popular SEO Plugins like all in one SEO & Yoast’s WordPress SEO, and OpenGraph & Twitter Cards integrated. This theme supports translation and localization in any language. Solstice is a responsive Blogging and Business WordPress theme with clean, modern, and minimal design in the mind. It is great for any kind of blogging, creative, service-based, business, or non-profit website. It’s fully responsive and retina optimized to look incredible on high definition displays for tablet and mobile platforms. Solstice features Videos, a filtered Portfolio, a gorgeous homepage slider, and Post Formats, Customizer, use Google Fonts, add custom CSS, and you can also choose from multiple header layout options. Solstice has a Call to Action feature that makes it easy to direct customers to your event, product, or newsletter signup, and much more. Additionally, it’s compatible with the following popular plugins: WooCommerce, Gravity Forms, Contact Form 7, Easy Digital Downloads. Grow Pro is an amazing multipurpose WordPress Theme with beautiful design in mind to take your site to new heights. It’s loaded with hundreds of awesome features, Powerful theme options, Responsive layout, Retina ready, 600+ Google fonts, Unlimited colors, Unlimited sidebars, SEO Optimized,WooCommerce ready, customize just about everything from header layouts to blog pages and page content with the click of a button! GossipBlog is a modern and professional WordPress blog that is built with simple, cleaning mind. Responsive design adapts to your style as well as a wide range of devices it’s viewed on. GossipBlog is based on the powerful Bootstrap framework with great features: SEO Optimized, Translatable – WPML Ready, Unlimited Colors, Built-in Pagination, categorized image gallery, and Full width / Boxed Slideshow, Embed Video Support, WooCommerce support, unlimited styles support and much more. Bloghi is a modern personal Blog WordPress theme that is built with standards in mind. Possibilities, responsiveness, optimization, simple and elegant style will allow you to stand out from other blogs.Bloghi provides many features that you need: Sticky menu, Social share in each post, many post formats such as Video, Audio, Gallery, 5 blog layouts for maximize your design including, Full Post Layout, List Post Layout, Grid Post Layout, One Full Post then Grid Layout, One Full Post then List Layout.It will take you only few minutes to install and run the theme. Hooray is Clean Responsive Premium WordPress Blog Theme fully customizable. Hooray is 100% Retina ready powered with Rating System. Hooray is cross-browser compatible and clean coded using HTML5 and CSS3. Prime is a Responsive and Multipurpose WordPress Theme. Prime is clean, minimalist, based on all the most modern in the world of WordPress development. This awesome theme is built using the sleek, intuitive, and powerful Bootstrap Framework. Prime is packed with tons of features. Carino is simple, clean, modern and professional WordPress blogging theme. This theme gives you full control to modify and customize styling, layouts, colors. Carino support 8 post formats and giving you full freedom to choose a template from. With Multiple HomePage layouts, you can switch between 4 homepage layouts with one click. Carino gives you full control over your site look. Fixy is lightweight and simple, personal WordPress blogging theme. Fixy comes with Advanced Font Options and You can add any font from Google Web Fonts, Typekit or Adobe Web fonts using our custom controls in the WordPress Theme Editor. Fixy support all major posts format such as audio, video, gallery, image, status, chat, link, quote, standard etc. Fixy is a perfect theme for your personal blogging. Feather is a clean flat responsive WordPress theme designed for your personal blog, niche blog, corporate blog, marketing blog and any other type of blog. Feather is an awesome WordPress theme which brings simple & clean design. It’s very flexible, fully customizable and powered with Redux Framework. Feather is responsive from top to bottom. Fabulous is a modern blog theme with a classic style built on Masonry Grid layout. Fabulous is perfect for bloggers, photographer, designers, developers and more. Fabulous can be used for wide range of blogs such as business bolgs, creative blogs. Fabulous is fully customizable with the help of WordPress Theme Customizer. Built using modern HTML5 and CSS3, Fabulous gives you all the tools to start your own personal or business blogs. Smoothie is a responsive WordPress theme designed for personal blogs. The theme can be also used for other variety of purposes such as business blogs and many more. Smoothie comes with a clean and modern design with visual refresh. Smoothie is powered by a feature-rich admin option panel. You can post audio, video, photos. Smoothie is Retina ready and it looks very sharp on Retina devices such as iPhone and iPad. It is also compatible with WPML plugin and it is translation ready. HEAP is a Personal Blogging WordPress Theme. HEAP gives the power to bloggers a tool to publish content effortlessly. HEAP is fully responsive and mobile ready. It looks elegant on Retina devices. HEAP also comes with some unique tools such as Live Customizer, Powerful Options Panel, Translation ready and many more. HEAP is a perfect WordPress theme to setup you personal blogging site. Ink is a WordPress Blogging theme to tell Stories to your visitors. Ink comes with a live customizer using which you can control all settings through the customizer and watch the effect on the fly. You can also transform your blog into a paid subscription business using Restrict Content Pro Plugin. BizNex is an one-page or multiple pages Business WordPress theme with modern, clean, responsive and advanced features design. It is created for small business, agency, corporate or personal Blog, portfolio website. It has everything you need to set up and customize your business site: Parallax effect, custom posts, fixed navigation, stylish portfolio, built-in shortcodes, beautiful transitions, Google fonts and maps, and much more. BlogPress is an extremely fast and well SEO optimised blogging WordPress theme, the greatest strength is the combination of speed and SEO optimized code to make you and your website unstoppable. BlogPress is better than 95% of the WordPress themes, see below features and you will know why! Babysitter is a flat, clean and responsive Job listing WordPress theme. It is great starting point for job site for babysitters/nannies, mom’s blog or other baby oriented sites. Babysitter Theme has a beautiful layout, perfectly designed is suitable for your desktop, tablet and mobile device. GoMedia is a responsive magazine theme for WordPress with a modern, elegant design. It’s perfect for online magazines websites, news websites, personal blogs or community blogs. Pillow is stylish and clean blog WordPress theme. It has designs which are good-looking and responsive layout. Pillow theme comes with advanced features allows you to make changes to the theme without code editing. Uberto is a beautiful blogging theme for WordPress with full responsive based on Bootstrap, and especially for experience in mobile devices, clean and minimal crafted make your content and images stand out. AMY Theme is a handy and great looking creative WordPress theme, it is a suitable for online store, agency portfolio, personal resume, creative blog, business services website. its main and outstanding feature is the AMY creative slider, which will make your content pop. It’s a powerful display tool either for your portfolio or for your blog or store items. Bonbon is a responsive WordPress theme built with the popular flat design trend in mind, it applies a cute, fun loving and colorful way to showcase your creative work and create your blog. You can change all the theme colors to suite your needs via the built in powerful theme options panel. No coding required! Roma is a beautiful and super stylish responsive portfolio theme in WordPress, it is perfect for individual creative and agency to showcase their portfolio items. The theme comes packed with plenty features which allow you also to create content rich blog posts. Games Zone is a powerful responsive gaming WordPress theme for anyone who wants a fresh new looks and feels for their game magazine and blogging website. It is very customizable and comes with a lot of modules that will make easier in the process of implementing your new website. Fatima is a professional blog/magazine theme for WordPress, comes with modern responsive design, awesome typography and focus on readability. It is a perfect choice for any personal creative blog, or simple magazine, three styles demo to view it with high customized design. Alante is amazing WordPress themes for any business or blog and gives a professional image. It has responsive layout and Retina display to everything looking clear and sharp, also awesome on tablets and phones devices. Office is a flexible multi-purpose WordPress theme which is great starting point for anyone looking to give their website a corporate and professional display. This theme is created with responsive designed beautiful layout and amazing features, it is suitable for all devices to have an amazing look. Office is great idea for any business or blog. A stylish music theme LOVERS in WordPress with lots of great elements and advanced options, responsive, clean, unique design, amazing sliders, music player with flash support and it’s mobile ready, social media integration and more. LOVERS is best for Blog, event site, music band, musicians and music related industry, It includes a wide set of features to display your website in a fashionable way. Vertu is Modern, Clean & Unique Multi Purpose WordPress theme with amazing features, it is suitable for any kind of business, group or personal, one theme for all purposes. You will love it for your different websites with different styles, as well as ultra Responsive, unlimited Layouts and unlimited Colors. Aspec is a flexible and clean responsive WordPress theme. It is perfect for showcasing your business, agency or your projects, also for blogging, art, photography and more. Aspec features a touch friendly slider with overlays that change the border and add texture to your photos, static front page content or customize the look with widgets, many color and font changes from the front end theme customizer. Election is a political responsive WordPress retina ready theme with unlimited skins. It is great idea for political blogger or political candidate who want have a beautiful website. Featuring mobile friendly design, functionally robust, SEO friendly, and easy to use. It has powerful CMS functionality and a long list of premium features. TechNews is a premium Magazine WordPress theme which with responsive design and unlimited color options, Cool features like 1-click install make a true out-of-the-box experience, WooCommerce, bbPress compatible and more. It was meticulously designed to cater to any audience. This theme is also an ideal solution for your news blog. Ultimate Showbiz is perfect responsive WordPress theme for Entertainment websites, Media Portals and Entertainment News Blogs, it comes with a great features, full controls on theme via backend Control-Panel. Clean and beautiful layout with eye catching graphics makes this theme ideal for Entertainment News Websites. Allianz is Clean & Unique Multi Purpose WordPress theme that is suitable for any kind of business, group or personal, you are a business owner, designer, photographer or blogger? This theme is for you. You will only need this theme for all of your different websites with different styles. Allianz comes with great features such as Unlimited Layouts, Unlimited Colors, Ultra Responsive and more, you will love it for your all purpose. Pure is a super clean and minimal blog WordPress theme. Pure will display your blog with an elegant and sophisticated way for your readers. Great typography and a good amount of white space make your content stand out in an organized and visually pleasing manner.